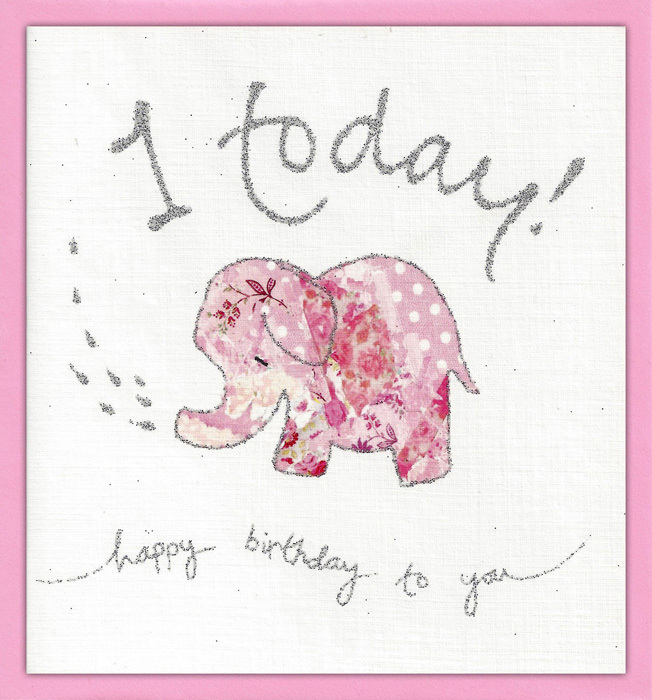 1 Today pink is perfect for a baby girl’s first birthday. 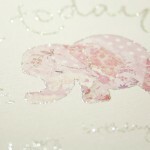 An elephant made from a collage is in the centre, delicately outlined in glitter with the water from her trunk spelling the age. 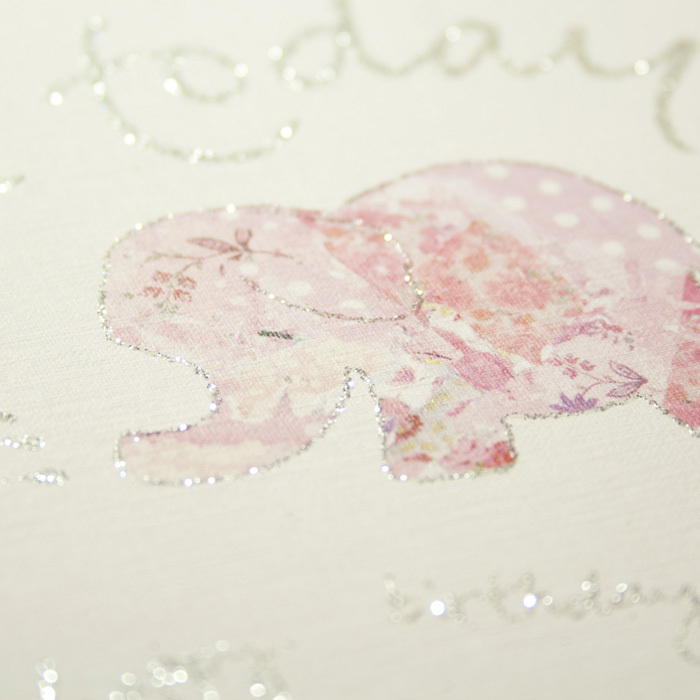 A best selling card for us.